Marshmallows. Fluffy, light as air treats that can take on many shapes and flavors. 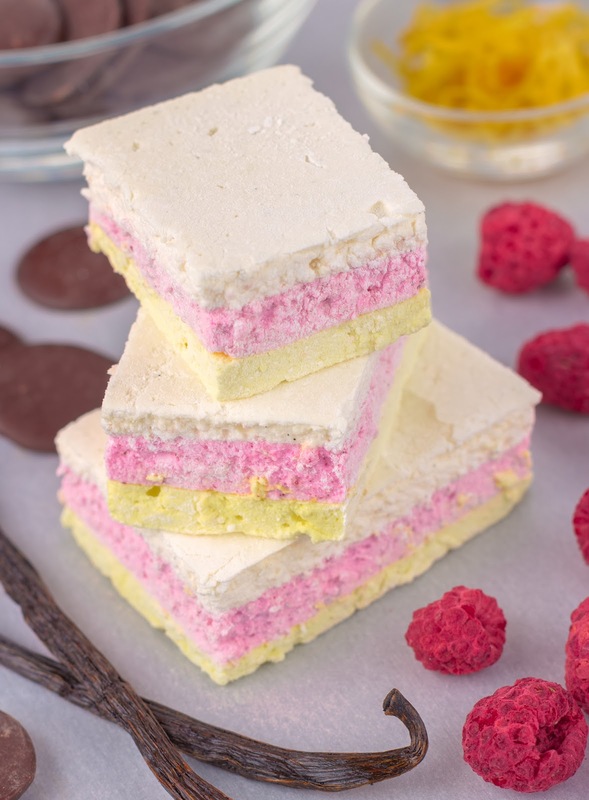 Magically made from egg whites, gelatin, and sugar syrup, homemade marshmallows are light years better than the puffs you can buy at the grocery store. Although they may be intimidating to make at home, once tasted, they will convert you forever. It would be a sin to toast these over a roaring fire, they are so divine. This week we take on layered marshmallows: vanilla, raspberry and lemon, with the option to coat them in chocolate. You could easily make these whatever flavors you like, but this particular combination is very nice. Continuing in the confections chapter, this week we have two variations of caramels: classic and lemon. Although the lemon caramels aren't caramels at all, but rather chocolate candies made with a specific type of caramel flavored chocolate, Valrhona Caramelia. This particular chocolate is essential is producing the caramel flavor of these candies. As with the other recipes in this chapter, timing and preparation are key to success. 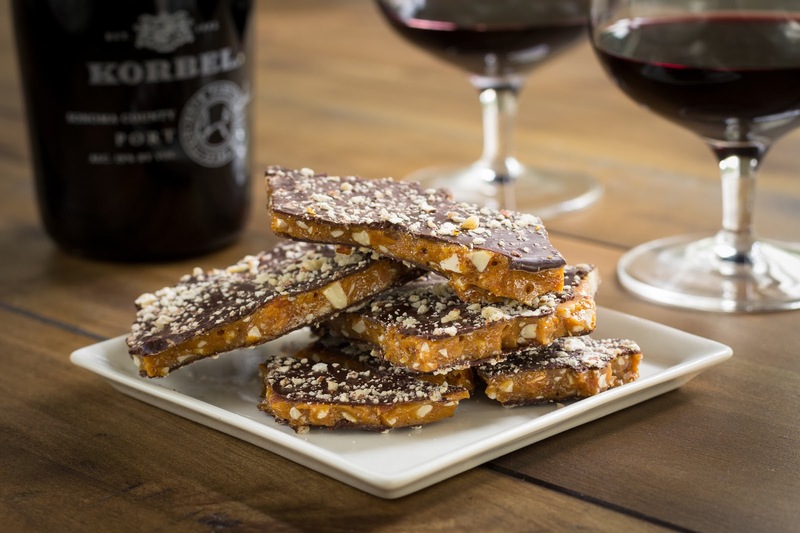 Either of these treats would make lovely holiday gifts for friends or family. 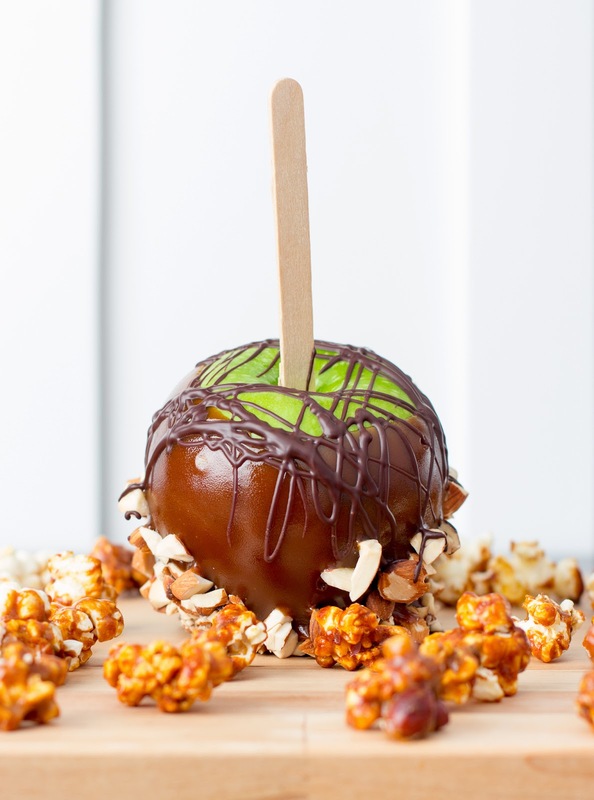 For Halloween week we celebrated by making caramel apples and caramel corn. The method for making caramel is different in each recipe, but both delicious!